Lemax Santa's Cabin Lighted Building depicts a seasonal village Christmas cabin internally and externally decorated with illumination for all the delightful children to come and visit Father Christmas. Wonderful viewing windows allows all to look inside Santa's cabin, illuminated with multi colour lighting. UK mains powered with adaptor supplied is a popular seasonal Lemax village miniature table piece, as part of the collectable range of Lemax miniature villages. Cornices around the roof edge light up in sequence, making this ideal for adding illumination in and amongst a Christmas themed Lemax display. 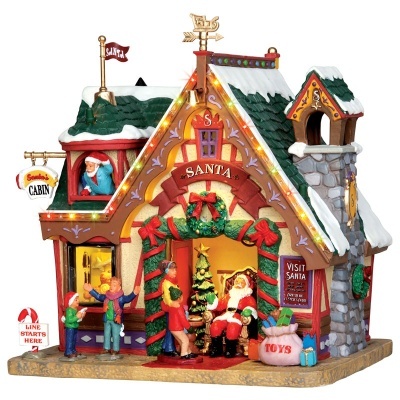 Santa's Cabin was a popular addition to the Lemax Vail Village collection in 2013 and remains to be so. 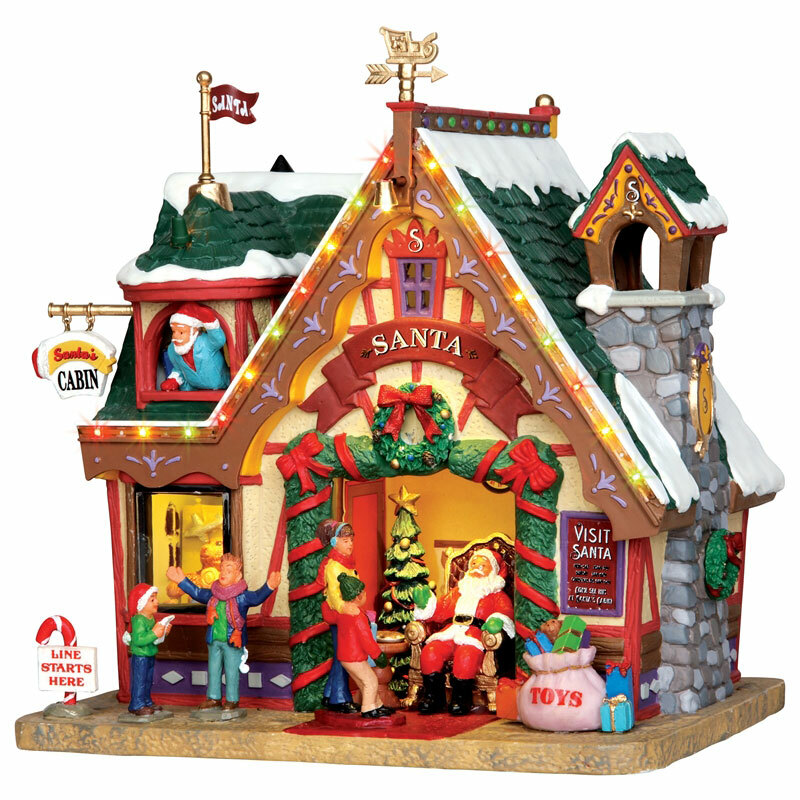 Santa's Cabin s is a single porcelain hand painted miniature building on a single street base.